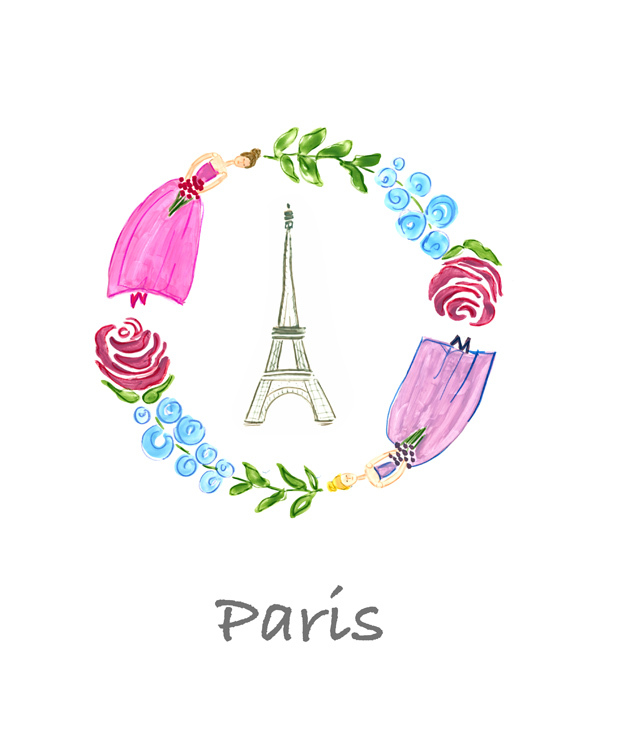 april in paris….and new york! 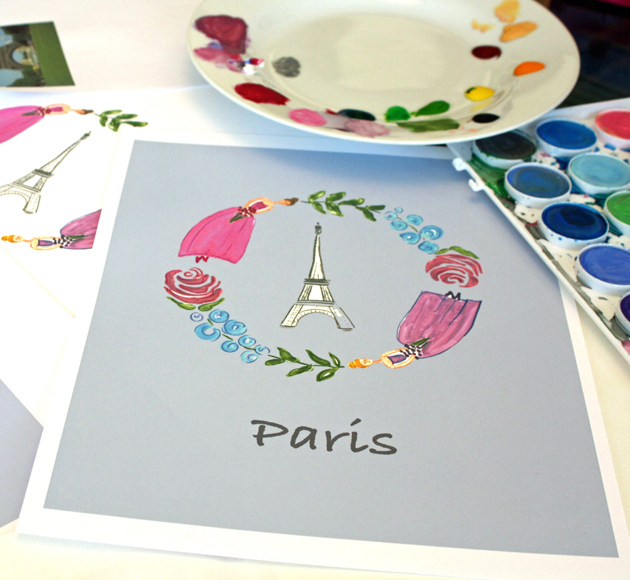 I’ve added a couple of prints to my Etsy shop after being inspired by dreams this weekend of April in Paris…and New York! 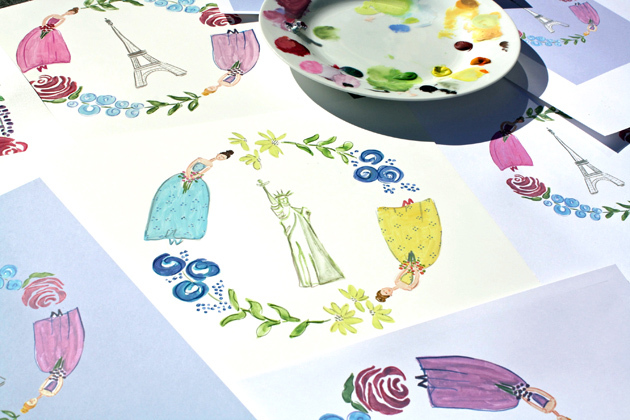 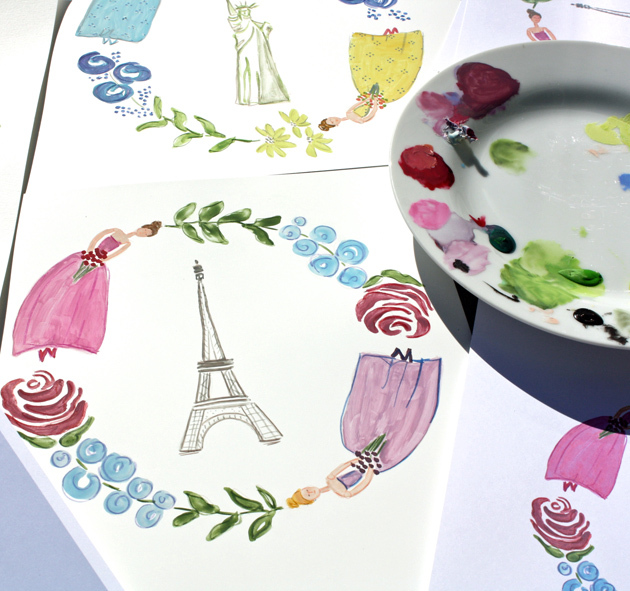 Continuing along the theme of Folk Art Brides and Bridesmaids, I created these 8×10 prints to be displayed as a pair to bring a little spring into your life! 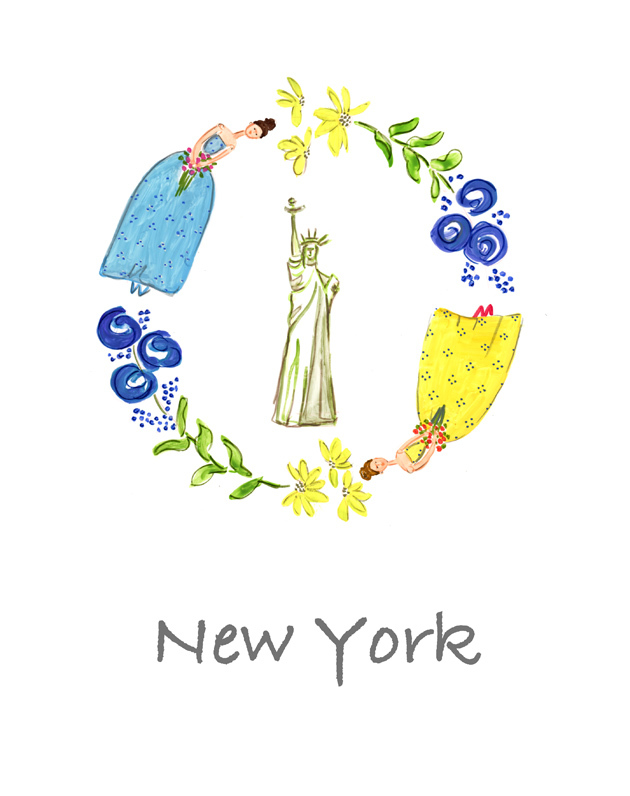 Paris brings to mind soft pinks and blues…..
And New York brings to mind the patina of the Statue of Liberty in yellows and greens….